The NBA playoffs are back on the schedule today as the Los Angeles Clippers will clash with the Golden State Warriors. This will be 2nd game of the series and the Warriors will aim to take the lead with 2-0 after they won the first game. On the other side, the Clippers will aim to bounce back after the defeat in the first game. The Clippers area heading into this game in a poor form. Moreover, the Clippers lost 4 of their last 5 games in the regular part of the season. Also, Los Angeles was dominated by the Warriors in the first game of the series. This team will need to improve if they want to take something out of this game. It seems that the main problem for them in that game was their slow start and they never recovered from that. 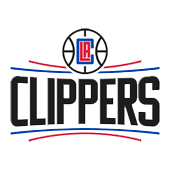 On the offensive side of the game, the Clippers score an average of 115.1 points per game. Therefore, this record is enough for the 5th spot in the league in scoring. However, on the defensive side of the game, the Clippers conceded 121 points in the loss against the Warriors. Therefore, it is safe to say that they will need to improve in this second game. The Warriors are one of the best teams in the league. I am pretty sure that you have read this sentence in many of my predictions this season. Well, the Champions were one of the main favourites to win the championship this season. They showed their class during the regular part of the season and it seems that they mean business in the playoffs too. Moreover, the Warriors run over the Clippers in the first game. And with this win, the Warriors have 4 wins in the last 4 games against the Clippers. A pretty solid score against a solid team like the Clippers. On the offensive side of the game, the Warriors score an average of 117.7 points per game which is the 2nd best scoring record in the league this season. On the defensive side of the game, the Warriors managed to keep the Clippers at bay as they only conceded 104 points in the win. Therefore, they will need to repeat this in this 2nd game. The Clippers are in a bad form at the moment. Moreover, they were not even close to getting a good result against the Warriors in the first game. While on the other side, the Warriors led by Kevin Durant and Stephen Curry are dominating this season. Therefore, I expect another solid win for the Warriors in this game. 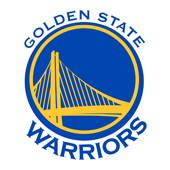 My Free Pick & Prediction for Los Angeles Clippers vs. Golden State Warriors 04/15/2019 is: take the Golden State Warriors -1500 (Moneyline).